Italian Beauty Brought to Life. Maranello is an Italian-inspired villa that spans 2,000 square feet and embodies the rich history of Ferrari and Italy. Throughout Maranello, you will be surrounded with warm woods, soft colors, and natural light from the patio. The master suite comes complete with a king bed, spacious bathroom, custom vanity space, and large windows that overlook the complex. An additional king bed guest room and room outfitted with 3 twin (bunk-style) beds share a large full bathroom. The kitchen will attract the chef in everyone, as it offers an open concept and is equipped with Wolf and Sub-Zero appliances. 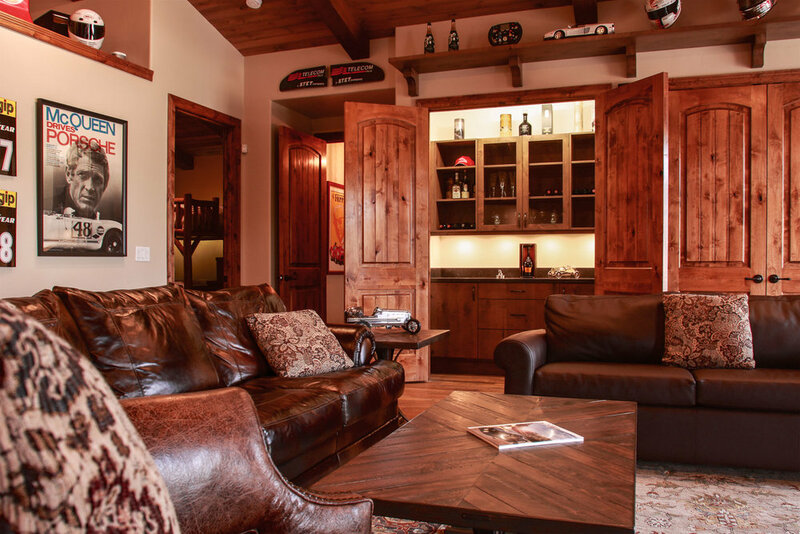 Maranello’s living area is composed of large leather sofas (queen sleeper sofa available), comfortable accent pieces, and a unique fireplace. Unique and collector-grade accents give the space more character and class. The oversized living area is meant for spending time with family and friends. 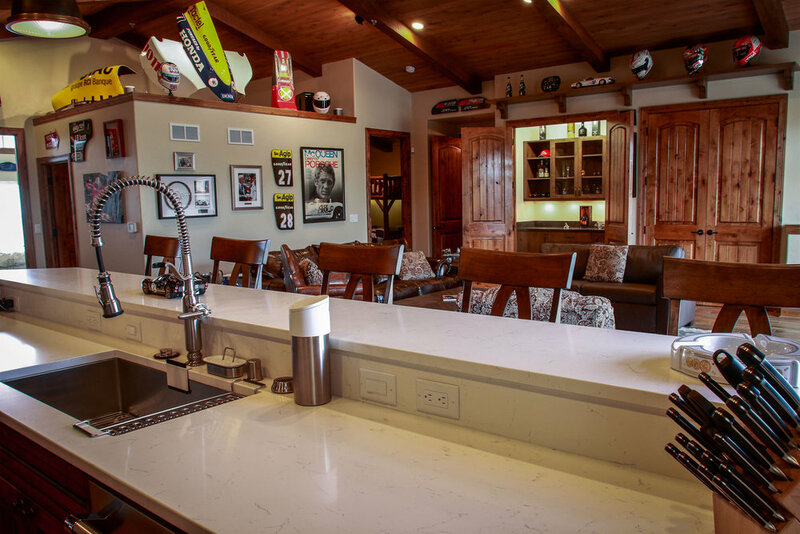 Ample bar, living, and dining seating in this spacious villa. The bar area serves for overflow seating and additional eating and drinking space. Kitchen for kings! Enjoy the highest-grade appliances for the ultimate cooking experience. Family and friends can gather around the spectacular dining table for meals prepared by our chef or you! The king guest room offers plush linens and additional closet space for extended stays. An additional guest room offers bunk-bed style sleeping with an added trundle bed for that extra guest! The guest bath is as beautiful as it is functional. Maranello's master suite is breathtaking. Windows overlook the complex, while small accents make the room cozy and serene. You'll feel spoiled in the spa-like master bath with custom-made vanity space and precious materials from floor to ceiling. 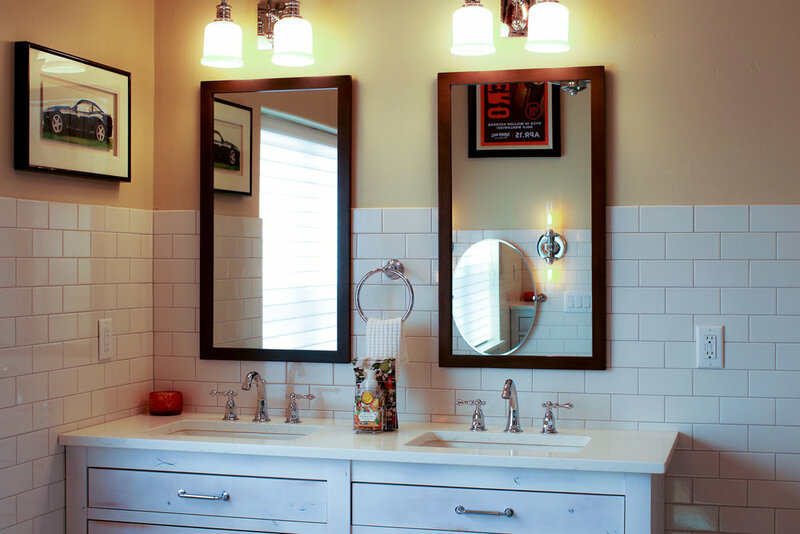 Double vanities in the master bath offer additional "getting ready" space for you and your guests. Views, not only inside by outside, make this master suite that much more luxurious. Each material was hand-selected with a keen eye for quality, luxury, and comfort. Copy of Embrace the privacy of not only the suite, but the showroom-designed garage space.